When a payroll run is processed, all the above costs are coded to the appropriate customer and QuickBooks flags them as “billable” at this point. 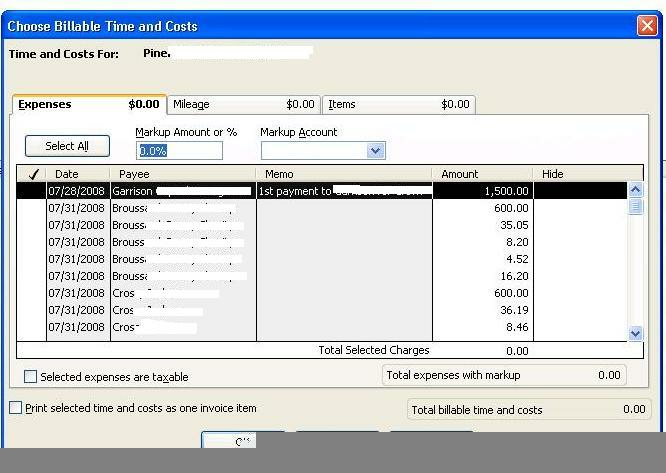 To bill the payroll costs out, we then go to the Customers menu and select “Invoice for Time and Expenses.” All of the employee costs as outlined above are then brought up in a list. We check the items we want to bill (which is all of them) and then select “create invoice”. 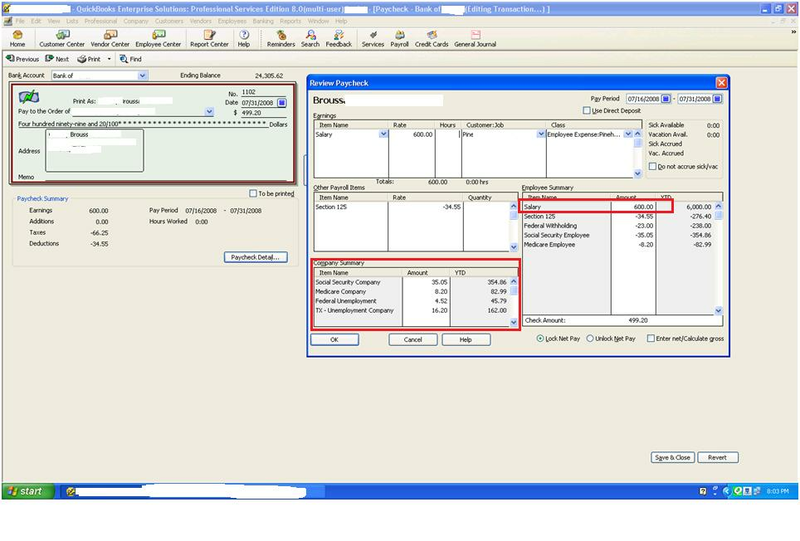 When the invoice is created, the above 5 items are listed separately, but useful descriptions are not displayed. We need the invoice to list both the employee name and the nature of the expense associated with each cost that is being billed out. E.g. We have tried using various invoice forms and these fields are never available to select for inclusion. 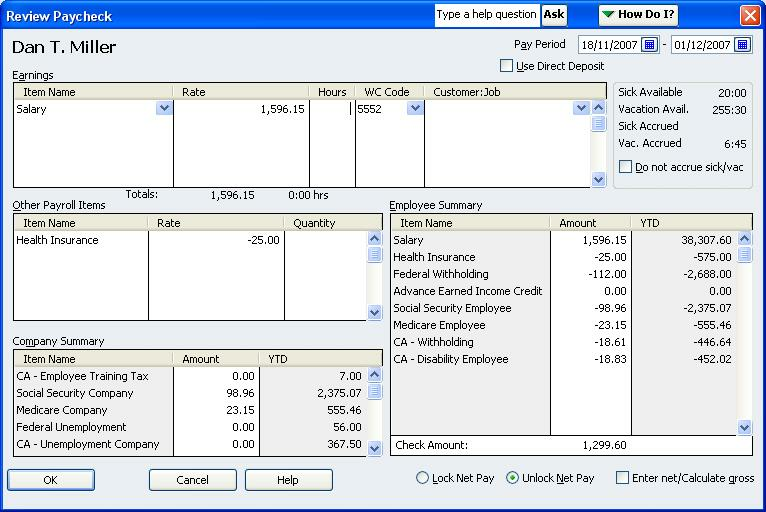 We are able to see the fields needed in the payroll module, by viewing a detail of the employee check. However, We have not been successful in finding these fields in the QuickBooks tables so that we can pull them into the invoice using your software. 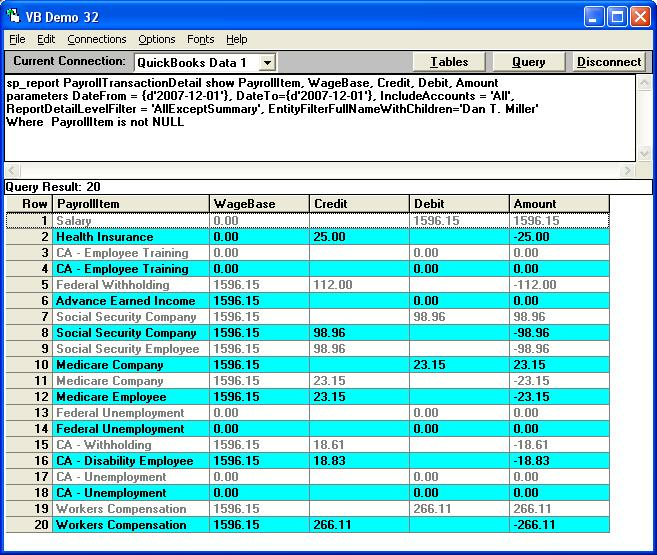 If I can see the data in the tables, I am confident that I can extract them using QODBC and SQL to format them into a report that is suitable.